How do I know if Sunday is the real Sabbath day? Congratulations! You have found Lux-Verbi Books. We offer books, CDs, Total Onslaught DVDs series, as well as several free e-books. On this site, you will find information and resources on health, lifestyle, vegetarian cooking, law, science, social sciences; and on the new world order, secret societies like Skull and Bones, Knights of Columbus and the Knights of Malta. We also publish books on escaping paganism, the psychological dangers of Yoga and other New Age 'alternative health' practices such as Feng Shui, acupuncture and Pilates. View the latest controversial and compelling videos, dvds and books on how to protect your health, plus free vegan recipes. Our Motto:"Peace if Possible, Truth at All Costs... Reigniting the Flames...." To translate this page into another language see the menu to the right. October 26, 2017 - Lux-Verbi is finally pleased to announce the long-awaited publication of P.D. 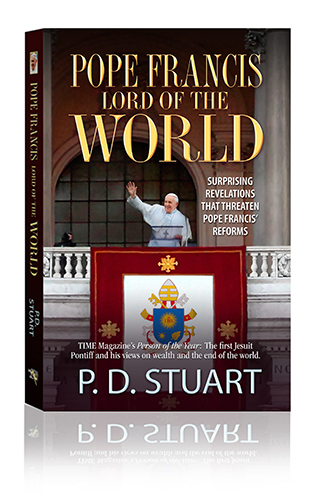 Stuart's most controversial book to date :POPE FRANCIS—Lord of The World... OR "Surprising Revelations that Threaten Pope Francis' Reforms..."
Pope Francis is a man of many firsts: the first Jesuit pope, the first South American, the first non-European to be pontiff in almost 1,300 years; and the very first pope to be invited to speak to a joint session of the US Congress—viz., the first religious leader to address US lawmakers! Francis’ first actions were called “unprecedented and shocking” by one veteran Vatican reporter; and his subsequent reforming initiatives have been deemed “epochal” and “revolutionary”. How did he acquire these political and people skills? Where do his ‘revolutionary’ ideas come from, and what does he hope to achieve by his ‘rhetoric'? 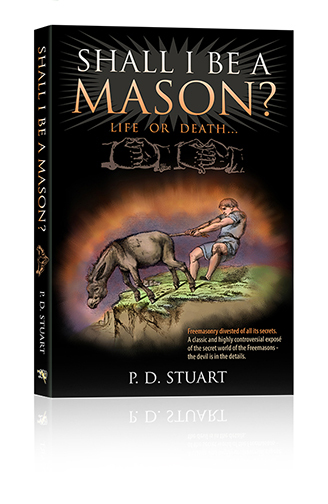 "SHALL I Be A MASON?—Life or Death" OR "Freemasonry divested of all its secrets!" "MASONRY HAS ITS TENTACLES IN EVERY PLACE AND AMONG all races and creeds. It exerts its influence everywhere—in the churches, in the legislative halls, in rap music and the entertainment industry, “in civil, as well as criminal cases; in arbitrations, references, trials by jury, before justices of the peace, and in the higher courts…. "Masonry boasts of Christians, Jews; and of numerous Catholic priests as being enrolled in its Lodges. Yes, Catholic priests! One will find high-level freemasons in control in the “Christian” seminaries (both Catholic and Protestant), in colleges, and universities, on management boards of Christian television and radio stations, and in almost all the large church organisations. "Freemasonry also makes other GRAND claims, not least, to being a “charitable and benevolent institution,” promoting “universal philanthropy,” and a “system of morality veiled in allegory” “tending to make them [Masons] lovers and advocates of morality, and good citizens.” But, in this collection of what must be some of the most important documents and facts on the secrets of Freemasonry, P.D. 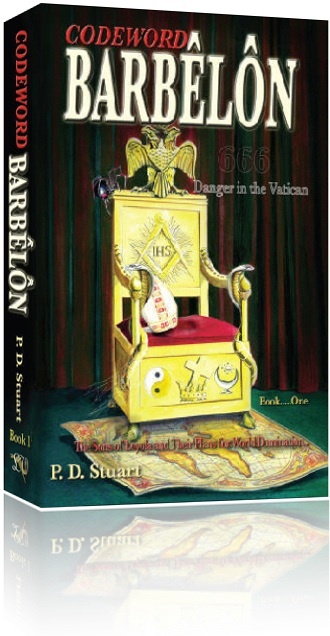 Stuart shows, conclusively, that despite its grand claims, Freemasonry is in fact a labyrinth of deceit, and a gigantic evil, of an impiously-audacious scale! Yeah more, says Stuart, “Masonry is an enormous spine-machine, and a "great 'hydra of Iniquity' "! Why are world events spinning out of control? Why do the explanations we hear from our government officials seem so unreliable? Who is really in control? Here is a book that offers Evidences that even the PLAIN READER can understand, which the SCHOLAR will appreciate, and the SKEPTIC cannot refute… a record of facts, well-attested, burning facts, which cannot fail to convince the incredulous, arouse the indifferent and lukewarm, and inspire every lover of truth and of his country….! "FASCISM HAS COME TO AMERICA! And it's wrapped in a flag and carrying a cross..."
“We are now standing in the face of the greatest historical confrontation humanity has gone through... wide circles of American society and wide circles of the Christian community do NOT REALIZE THIS FULLY.” ~ Malachi Martin (Jesuit). A word from the author, P.D. Stuart...:"Peace If Possible, Truth At All Costs..."
"A gripping tell-all book, as unforgettable as it is daring... A controversial… and hard-hitting exposé of the powers that be... will outlive all of its critics." ~ La Maître, Editor. Codeword Barbêlôn puts the spotlight on a global organization about which President Woodrow Wilson once wrote: "the few who are aware of it, dare not speak above their breath when they speak in condemnation of it." This compelling book reveals the control exerted by the secret societies over statesmen like Bill Clinton and George W. Bush and the connections between the secret societies of Skull and Bones, Phi Beta Kappa, the Bilderbergs, the Jesuits, Freemasonry, the Knights of Columbus, the Council of Foreign Relations and the Rhodes Scholarship. Codeword Barbêlôn is a ‘tough book.’ It is plain, honest, and thought provoking. It contains no compromise, no apologies, and no vagaries; it spares no characters, high or low—all are lashed without ceremony. Rarely does one source “connect the dots” as completely, thoroughly, and intelligently as does this one! “... There are in the central house, at Rome, huge registers (with alphabeted edges), wherein are inscribed the names of… all the important persons, friends, or enemies... In those registers are recorded.... facts relating to the lives of each individual. It is the most gigantic biographical collection that has ever been formed....” ~ (Abbate M. Leone, an ex-Jesuit). Codeword Barbêlôn uncovers a plot so sinister that in the words of the ex-FBI Director, J. Edgar Hoover: "The individual... coming face-to-face with a conspiracy so monstrous... cannot believe it exists." Why should you care about any of this? You shouldn't; go back to sleep, all is well. JEZUITSKA SVETSKA ZAVERA (Codeword Barbêlôn is now available in the Serbian language). Unlock the prophecies of Daniel and gain an understanding of these important dreams and visions in the books of Daniel and the Revelation). Professor Walter Veith, and Amazing Discovery, and Lux-Verbi. ONLY £75.00 GBP (while stocks last) - Regular Price: £230.00. As Resellers of these DVDs we are able to offer you the entire series of 36 DVDs. The “Total Onslaught” DVD series are unlike anything that you have come across before. They are eye-opening, and well presented. Prof. Veith gives a blow by blow account and exposé, with clear and convincing evidence, of the powers behind the New World Order, Freemasonry and other secret societies. These DVDs not only provide the missing links in "The Da Vinci Code", they also correct some of the false assumptions and conclusions in that book. Can you really afford to be in the dark about end-time developments taking place all around you? Have you wondered who was really responsible for the attack on September 11th 2001? Get the DVDs Now, plus £25.00 worth of FREE books. "Mats and mirrored walls are replacing the weights and cardio rooms, as Yoga becomes a mainstream fitness option. Some homeowners are converting small dens into simple spaces in which to practice the ancient Eastern discipline. Others are opting for high-end Yoga and meditation …." ~ USA Today, 24 June 2004. But what is the energy, or power behind Yoga? How does it work? If so, how does it work? Or is it all hocus-pocus? And what is the basis of the new scientific research, which suggests that Yoga is bad for you? It's been called the "New Revolution", and the "most popular religion" of modern times, but author P.D. Moore writes that, "Yoga is more than just a physical exercise" it has a "strong psychic [occult] component as well. One government study shows that over time 76 percent of practitioners developed mild to severe psychological disorders and illnesses... 26 percent feared even worst." About Harry Potter Find out more... Preface. This book reveals the mysterious occult power behind many alternative Healing therapies, such as Meditation and Yoga, Tantra, Reiki, the Chi force in Martial Arts, Pilates, Chakras healing, Feng shui, Therapeutic Touch, Kabbalah etc. It even shows an amazing connection between Yoga and Hypnosis! Secrets Behind the Veil delves into the hidden mystical origins of the alternative therapies and Yoga, and the tells the stories of people who have been involved in the New Age Spirituality, and orthodox religions and their amazing, life-changing and sometimes hair-raising experiences. It explores the occult force behind Alternative Health and Healing, Reiki healing, Astrology, Psychic events, Feng Shui, Martial Arts, Magic, New Age Religions and beliefs, Spiritism, the Chi force (Ki), Tantrism, Yoga, Speaking in tongues, ecumenism and the impact 21st century religion and politics. Learn more about the dark occult forces involved in New Age medicine and 'alternative health' practices, like Yoga, Feng Shui and kundalini power. Find out the truth behind the secret societies and the New World Order hierarchy. Discover the hidden facts in the creationism vs. evolution debate or just look after your well-being with various health books DVDs and free vegan recipes. If you look around this site there are also pages and books on the Sunday Law and ancient sun worship. For those interested in the secrets and connections of the Greek Lettered societies like Phi Beta Kappa, Alpha Chi Rho, Alpha Chi Sigma, Alpha Delta Gamma, Epsilon Omega, Gamma Chi, Kappa Lambda, Zeta Omega, Epsilon Phi, Xi Delta, Beta Omega Phi, Beta Sigma Psi, Beta Theta Pi, Chi Phi, Chi Psi, Delta Lambda Phi, Delta Omicron, Delta Zeta, Farmhouse, Gamma Alpha Beta, Kappa Delta Rho, Kappa Kappa Psi, Lambda Kappa Sigma, Phi Mu, Phi Sigma Rho, Pi Kappa Alpha, Phi Mu Alpha, Phi Mu Delta, Pi Sigma Epsilon, Psi U, etc., see Codeword Barbêlôn. | TOCs | Audio Sermons (Free downloads): in English, Portuguese and Spanish. Luxverbi and Lux-Verbi are a trademarks of Lux-Verbi Books. All Rights Reserved. He was a respected Muslim leader, but he walked away from Islam... Also in $USD. Lux-Verbi Books: Buy Books Online, Booksellers, Publishers of Controversial, eye-opening books, DVD and Video on Secret Societies... Printing and binding services, Crown Jewel, Rum and Coca Cola, Ralph de Boissiere, independent publishers and booksellers of controversial and eye-opening books about Secret Societies, Freemasons, Jesuits, America in prophecy, Virgin Mary, Isis. This site also provides currency conversion information. LISTEN to 76 Bible Questions Answered. We offer materials on the dangers of Yoga, and books and DVDs exposing the Secret Societies, the Jesuits, Freemasonry, Knights Templarism and other secret societies. We offer a printing and binding services. 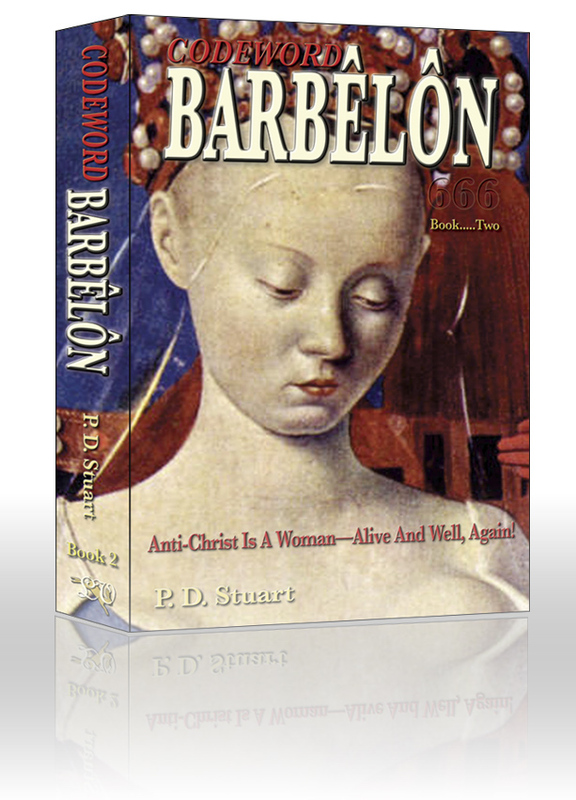 Titles include Codeword Barbêlôn by P.D. Stuart, Crown Jewel, Rum and Coca Cola by Ralph de Boissiere, Yoga is Powerful, About Harry Potter, and Secrets Behind the Veil, Textbooks, Childrens Books, DVDs,Childrens titles. Free ebooks. UK Court Service Forms, Languages books,Français Français,French. 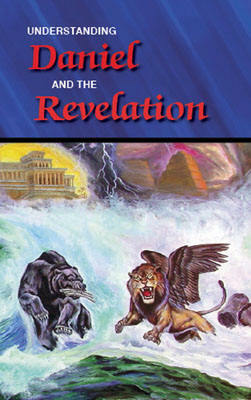 Unlock the prophecies of Daniel and the revelation - Daniel: Understanding the Dreams and Visions. SDA, Ellen White, E.G. White, Doug Batchelor,Mark Finley,Walter Veith, Audio Sermons,76 Bible Questions Answered (Free audio messages),English,Portuguese,Spanish.